Treat a friend to the cutest of happy post! 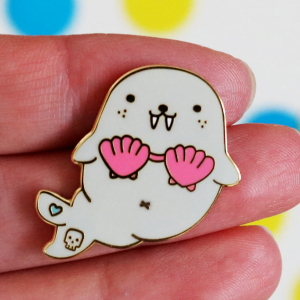 Pin Party Club is my monthly super-cute subscription box. 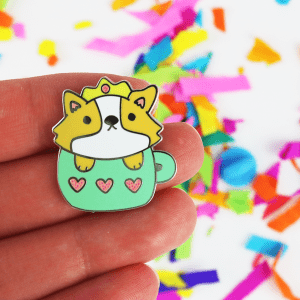 Each Pin Party Club box has a different party theme and contains a surprise hard enamel pin as well as other exciting goodies designed just for that box. 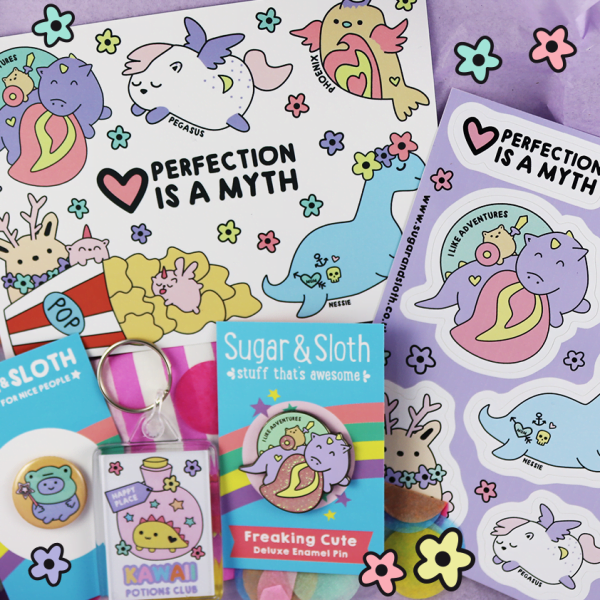 Pin Party Club boxes are guaranteed to make the recipient do a little happy dance every month. Just add the recipients name & address in the delivery address section at the checkout. If you would like a hand written card included with the first box please leave your message in the ‘Order notes’ section at the Checkout, and don’t forget to say who the box is from. All postage and shipping costs are included. Can be enjoyed by adults or children. » Choose a 1, 3 or 6 month subscription. These are all one off payments, not rolling monthly subscriptions, so you don’t need to worry about having to cancel. » All postage and shipping costs are included. 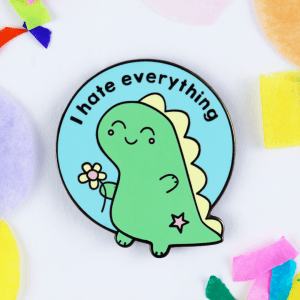 » The goodies arrive all wrapped up in pretty tissue paper and stuffed with rainbow confetti, brightening up your friends day. » Pin Party Club boxes fit through all standard sized letter boxes. »Pin Party Club is enjoyed by fun loving adults, and is suitable for children too. Not suitable for young children due to small parts and sharp functional parts. If you prefer you can sign up for a rolling monthly subscription box here.